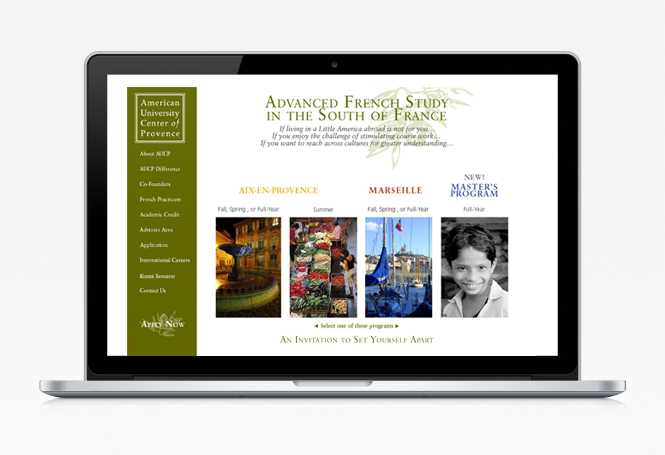 The American University Center of Provenceoffers american students a university curriculum in Aix-en-Provence or Marseille while they discover european culture and French language in total immersion. This immersion is the guiding principle of the graphic design. Matching with the students' experience during their stay in France, the logo has no specific background or colour (even if white is the reference colour) to fit on all media. 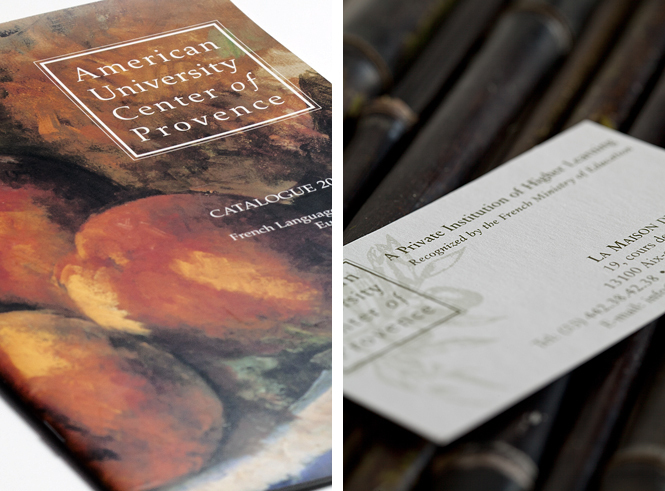 As for the typographic conception of the logo, the use of italics on the word « of » allows to put the stress on the specificity of this american university... settled in Provence! 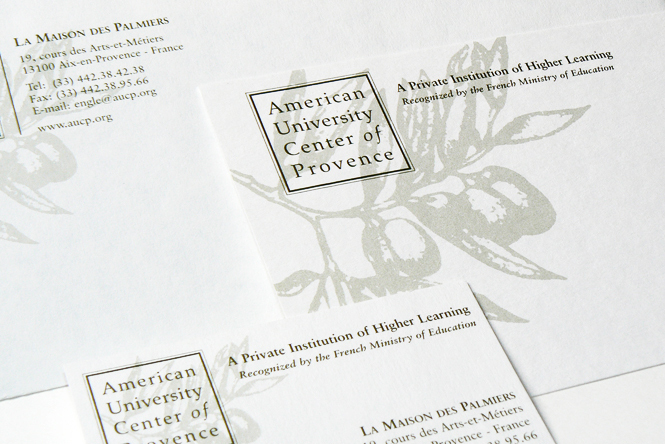 Generally speaking, in printing and web design, the graphic charter relies on the colours and pictures of Provence which are very popular in the USA.